The travails that Microsoft and its programmers can sometimes make those of us who use the Windows operating system undergo! Do you own an HP laptop, tried to upgrade from Windows 8 to 8.1 and then found yourself staring in panic at the log on screen which refuses to accept the password that you know in your heart was the CORRECT password? There is salvation; albeit, in typical Microsoft fashion, after a lot of effort and accompanying annoyance. Swearwords, too! Posts in forums across the Internet show that the problem is not unique to yours. It happens to many owners of HP laptops. There is an incompatibility of the Windows 8.1 upgrade with HP’s Protect Tools Security Manager. I have seen one lame recommendation that told one HP owner to consult with the manufacturer. If that is not a cop out, then I do not know what it is! There is a 24-month window for all Windows 8 users to upgrade to Windows 8.1 for free, so if you still wish to complete the upgrade, simply go through the process again without rebooting after uninstalling HP Protect Tools Security Manager. The problem with the upgrade procedure is that it does not fare very well in the instructions to the users. Downloading the main files is easy enough; but once the upgrade is ready to install, it will give the message to the HP user that HP Protect Tools Security Manager needs to be uninstalled first. Uninstalling Security Manager involves first uninstalling face and thumb mark recognition and some other apps associated with it. This is where the epic fail occurs in the instructions department. Uninstalling Security Manager prompts the user to restart the system to complete the uninstall process and remove all the files and registry entries. It is the reboot that causes all the trouble with the subsequent log in. To complete the Windows 8.1 upgrade, the user SHOULD NOT reboot and instead return to the Windows 8 store to restart the upgrade process. After doing so, the upgrade ought to be pretty straightforward. The upgrade should scan your system, download additional files and then continue on replacing old files with new ones, all the while making sure that your laptop will feel more or less the same as it did before the upgrade. A few reboots will be normal. You really do not have to do anything other than wait. First, restart your system. 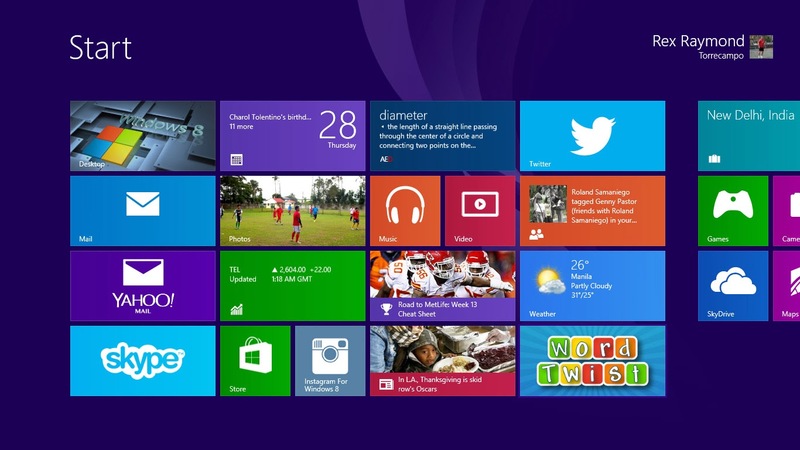 Before Windows 8 is loaded, press the ESCAPE button to get to a menu. Choose the option that allows you to refresh your system. Refreshing will simply restore your system to a usable state. Some files may be lost, but crucially the process will let you back into Windows 8. Not that your travails will stop once you have completed the upgrade to Windows 8.1, as it has a habit of freezing intermittently. In my case, I simply allow the system to ride out the freeze. The system eventually comes back to life; albeit after an annoying wait. Patience is a must for those who upgrade. By the way, to offer a point of comparison for those who might have encountered the problems I mentioned here – which, needless to say, I myself underwent – I own an HP ProBook 4445s running on an AMD processor with 4GB of RAM. I hope this article can be of help to other owners of HP laptops who wish to upgrade to Windows 8.1.